Ubuntu 14.10 codenamed Utopic Unicorn officially available for download after six months of development. Previous release was Ubuntu 14.04 LTS which got a long term support for next 3 years. Ubuntu 14.10 comes without any majour changes from Ubuntu 14.04. The UI shell is Unity 7, the same default wallpaper but a new set of community wallpapers included. No visual tweaks from Ubuntu 14.04. All the default apps are the same but updates are included. Ubuntu 14.10 introduces the ‘Ubuntu Developer Tools Centre’. This effectively reduces the task of installing the Android SDK, its dependencies and other necessities, all with a single command. In future more development platforms will add to this line including Go and Dart. The Unity received some improvements the lock screen, Dash filters and previews and other bits were updated with proper UI scaling based on current monitor scaling. Unity can now suspend, shutdown, hibernate or start the screensaver when the screen is locked, using the Suspend, Sleep, Hibernate and Power Off hardware keys. Ubuntu 14.10 is switched to systemd (a system management daemon for Linux) created and used by Redhat people. Its the same Gnome 3.10 again. The current Gnome is at 3.14 but there are lot of tweaks needed to merge the unity to Gnome. Also Gnome 3.14 released after the feature freez of Ubuntu 14.10 so the integration take another 6 months. The kernel is updated to 3.16. This ensures support of some latest Intel CPUs, including Haswell and Broadwell, improved NVIDIA and AMD graphics, including enhanced audio through the Radeon H.264 video decoder. 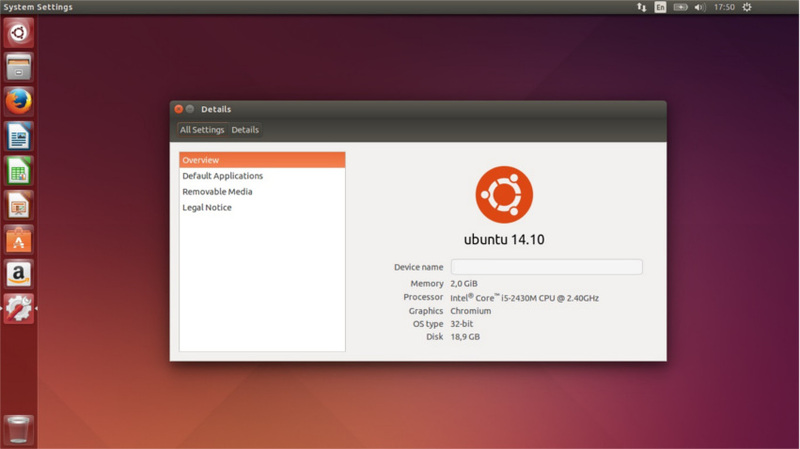 Froim Ubuntu 14.10, a Unity 8 ISO called Ubuntu Desktop Next is available a preview release. If you want to give Ubuntu Desktop Next a try, you can download it from HERE. Ubuntu 14.10 is an intermediate release and the Ubuntu 15.04 is already started.